If a luxury sedan is on your mind, now is a fantastic time for Alpharetta drivers to check out the 2016 Mercedes-Benz C-Class. With the 2017 models on their way in, the 2016 models offer everything you expect from Mercedes-Benz at a price point that’s hard to say no to. To find a 2016 C-Class sedan that has the perfect combination of standard and available features you crave, head to RBM of Alpharetta today! 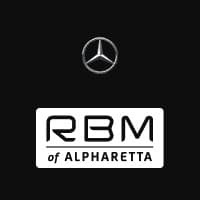 If a new 2016 C-Class Sedan is calling your name, it’s time for a visit to RBM of Alpharetta to learn more about what this sporty and sleek sedan has to offer Georgia drivers. You can contact us online 24/7, or reach us by phone at . We can’t wait to help make your C-Class sedan dreams come true, so schedule your test drive today!